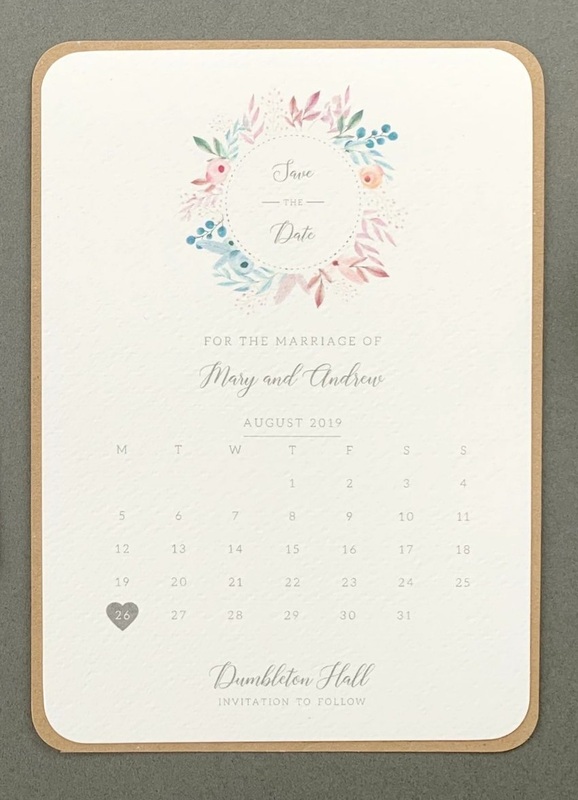 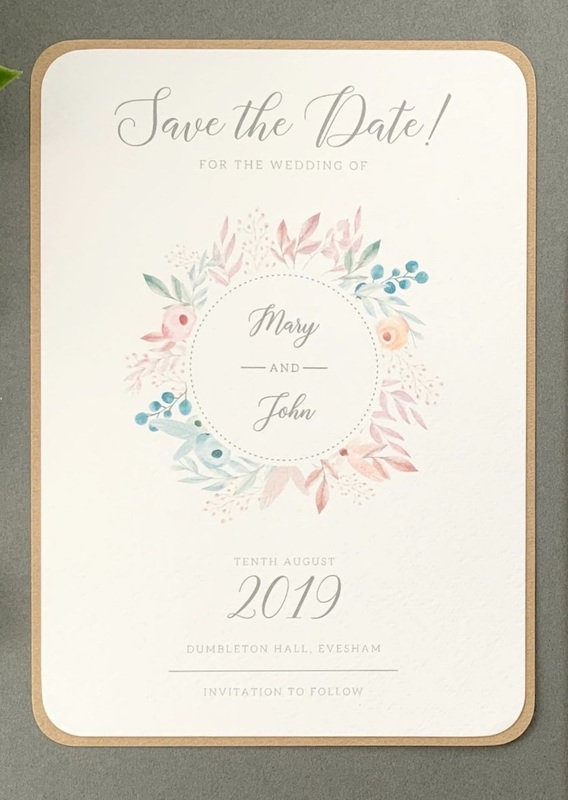 In 2018 we upgraded our ever-popular Metis design with more options; this rustic and vintage Save The Date card is now available with a choice of 5 different sets of artwork, changing the floral colour scheme for printing. 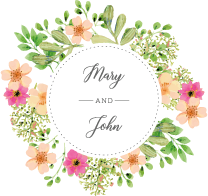 The floral wreath is used alongside vintage typography, with corners of Kraft and textured cardstock rounded for every item handmade. 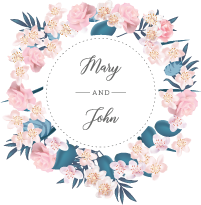 Metis is a unique handmade design for us in that we offer the choice of different sets of artwork for the floral wreath; there are five to choose from and these are shown below. 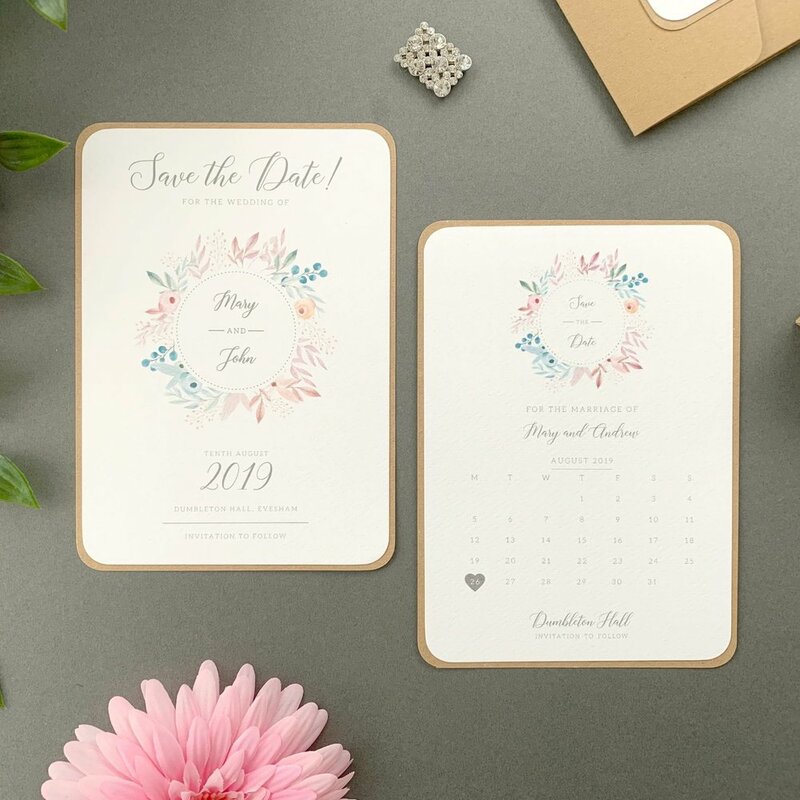 Our Metis collection uses layers of Kraft and Italian textured cardstock for its design, with corners rounded for a vintage finish.